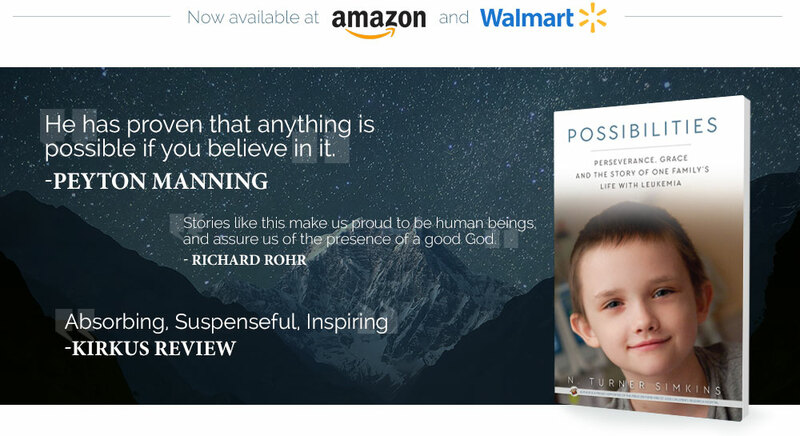 This powerful new Article in the New York Times underpins the intent behind my book, “Possibilities,” as I continue to learn of others who still fight the good fight; despite the odds, despite the implied restraints from others who tell you that, “enough is enough” or that “parents unwilling to face reality too often make their kids suffer even more.” In the heat of battle, jumping from one treatment dead-end to the next, an almost claustrophobic reaction to hold onto to anything resembling an escape mechanism can be perceived, from the outside, as a symptom of denial and a refusal to accept the harsh reality that, more often that not, severe cases of pediatric AML do not end well. Even when we attempted Brennan’s second transplant people accused us of being Frankenstenian, putting our son through more than he deserved and thereby denying him a “quality” end-of-life. Looking back, it is easy to recognize my stubborn unwillingness to face-the music; but thank God for it. I can only respond to this from our perspective, as we were fortunate to have a kid who, after two near death bouts in ICU on a respirator, understood what was on the line. Sure, we were stubborn, but he did not want to quit. We fought because he wanted to fight. 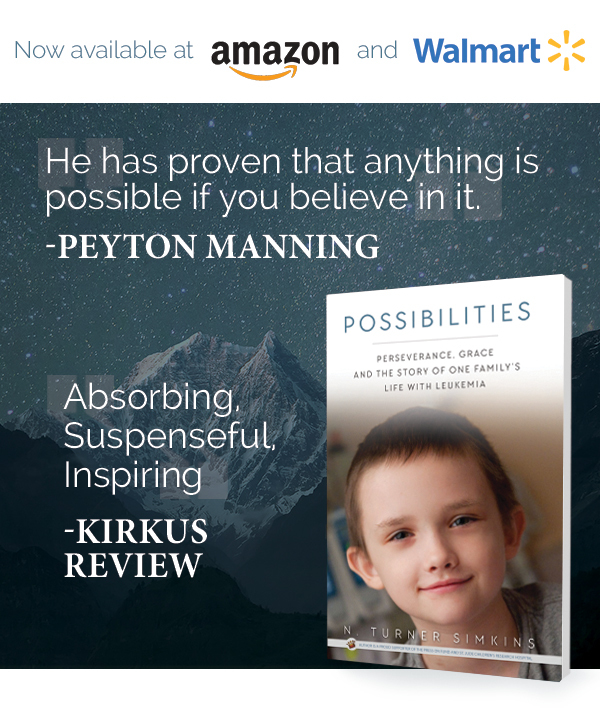 We learned that not giving up was simply part of this kid’s spirit; and, indeed, the “quality of life” that conventionally may be perceived as spending one’s last days at home in the comfort of one’s own bed with loving family at your side was, in Brennan’s case, the fight itself. Having spent effectively a third of his life in the hospital by the time “transplant number four” reared its head, Brennan experienced life through the community of St Jude Children’s Research Hospital. His friends were the other patients, his doctors and nurses. And, of course, he had family with him at all times. Even friends from home came to help, be with him and, indeed, feed from his infectious fighting spirit. Believe me, by the time we got to transplant number four, my wife Tara and I had talked about it A LOT. We were prepared to say “enough is enough.” But, in short, Brennan’s “last wish” was to go down fighting. Fortunately, through the grace and commitment of some extraordinary professionals and a loving family, he defined the odds and created the opportunity for more wishes. In my new book “Possibilities,” I clearly wanted to convey my son’s unique fighting spirit. But in no way did I want to imply that we believe everyone should feel compelled to push and push, to impose more pain and ensure extreme discomfort, unless one totally understands the consequences of what will happen, and what probably would happen if one bets with the odds. At my speaking engagements, I always read what I believe to be one of the most powerful excerpts from the book (pages 264-266) where Brennan and I go to church to pray for the life of Cassidy Clark, who had just passed away as a result of relapse AML. Cassidy had actually already endured three transplants and was offered a fourth “Brennan” transplant with her father as the donor. But this profoundly perceptive and astute nine year old girl decided that she had had enough. Her Mom had passed away just before her initial diagnosis. Over three years, Cassidy had endured a lot of pain and fought the good fight; and while still given a sliver of a chance, she decided on her own that she wanted to go be with her mom. Cassidy packed her little bag in Memphis to move back home, which happened to be our hometown North Augusta, SC; she bought a dress in which to meet Jesus. She went on trips with her family, visited friends, came by a cook-out with our family (one night). And over the last few weeks of her beautiful life, she taught me probably one of the most profoundly powerful and painful messages of this entire pediatric cancer experience: that God’s will is what it is. And that whether we live to be nine or 90, we have one moment to demonstrate that we understand having received the greatest gift that we will ever receive. That gift is love. It is God’s love, the love of one’s mother and father, the love of friends. And “the moment” itself represents every waking moment when we take the split second to feel it, turn around and give it back. Brennan acknowledged his gift, and continues to do so. Cassidy did too, and although she is not here, her gift remains in my heart and the hearts of many others. She gave it back; and so, she lives on. And that is “enough” for me. Mobile phone spying software is a type of mobile phone tracking and monitoring software that is surreptitiously installed on mobile phones. There are many men who wants to know more about http://phonespyware.info/. What are you ordering when you order the smartphone spyware? What about Mobile Spy Reviews? Is it useful solution? Where you can get more info about “spy app“? Did you ever read anything about the question? However, you must to understand one point that there are wide ranges of software are available depending upon your needs. This is ordinarily a good idea, special your first season out. Finally if you follow these tips, you have to be good to go. This is beautifully expressed. Brennan’s determination to fight changed my life. He is an inspiration to those of us who are/were in the midst of a “Never Give Up” period. When that period passes as it did for Cassidy her choice is the right one. Prolonging life is very different from prolonging death and no one but that person and their family can determine the best choice. I applaud all your family does to Press On for all of the other sick kids. Bless you. Leave a Reply to pastor kitty Click here to cancel reply.